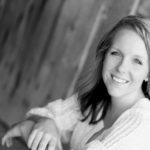 Liz is the lively, creative blogger behind Love Grows Wild. 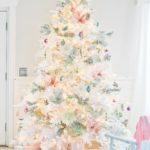 She loves everything about being a homemaker, whether it’s cooking a good meal for her family, creating handmade cards for her loved ones, throwing a fabulous party, or teacher herself to sew. 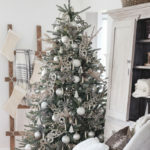 She spends her days decorating her new home out in the country, cooking up lots of yummy food, and caring for her husband and 2 sons. 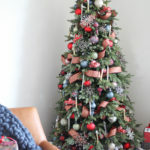 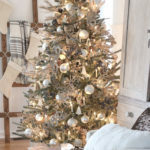 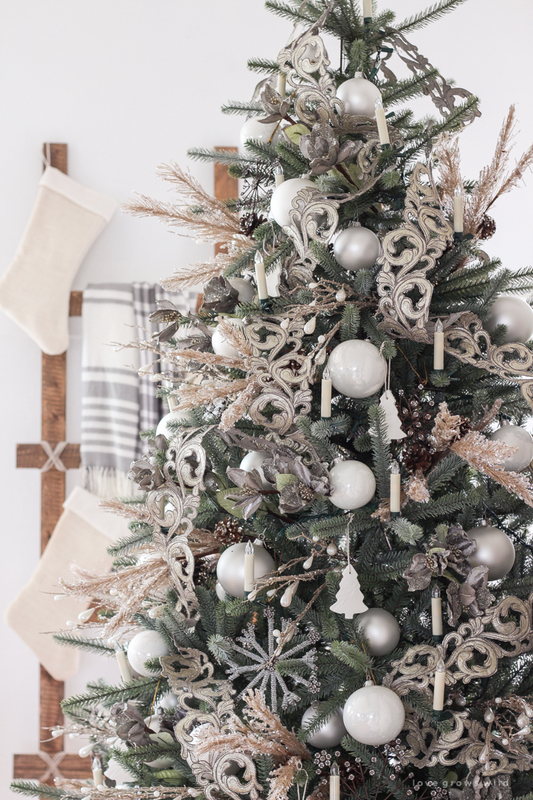 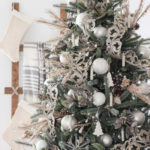 Try this decorating style by combining the elegance of wintry ornaments with the captivating organic beauty of a lifelike artificial Christmas tree. 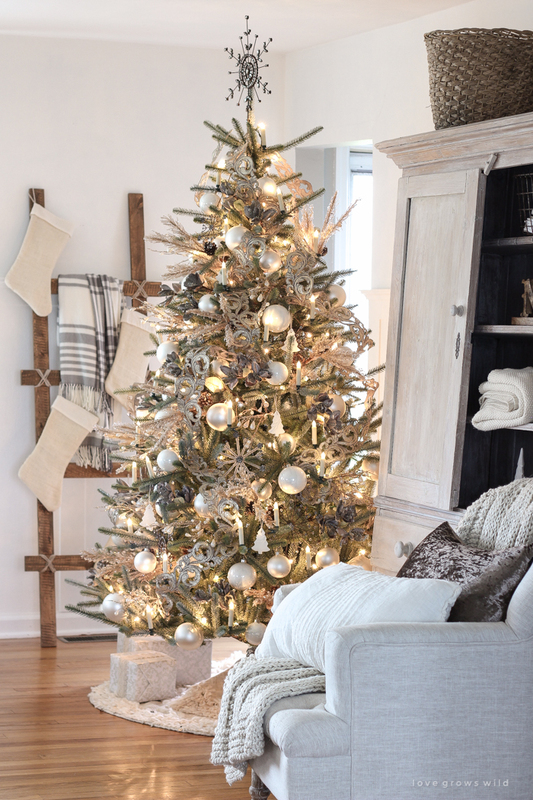 Sparse by design, the Sanibel Spruce is an excellent choice for this look – with spacious gaps between branches to showcase your gorgeous ornaments. 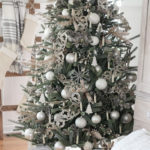 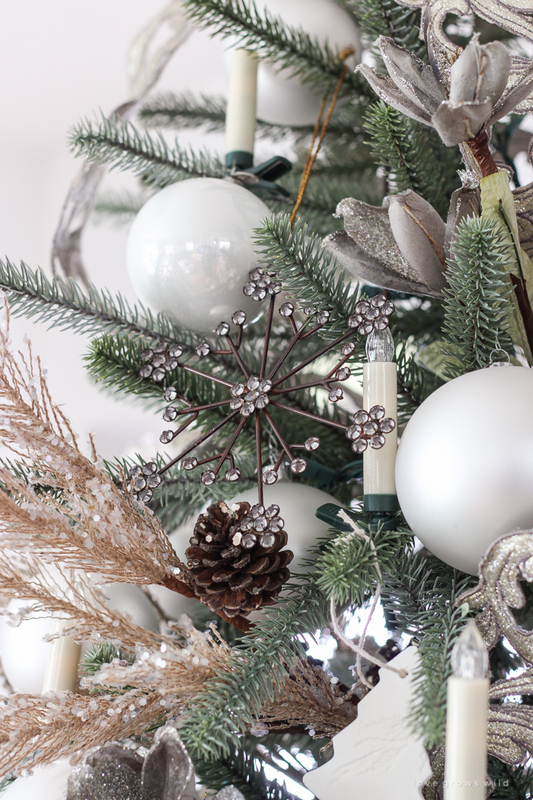 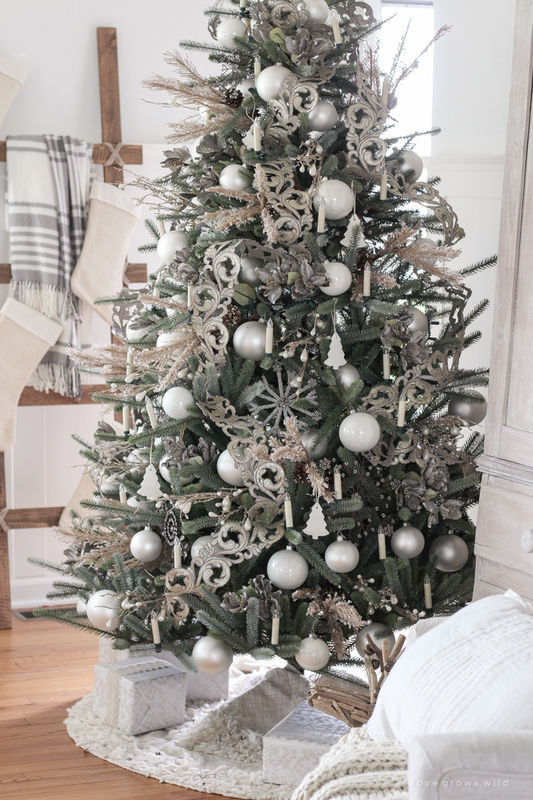 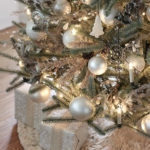 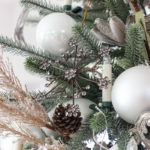 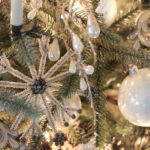 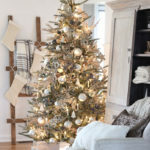 Adorn the tree with a luxurious combination of pewter-toned Magnolia Picks and glittered Jute Pinecone Picks. 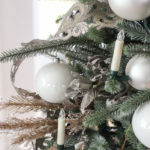 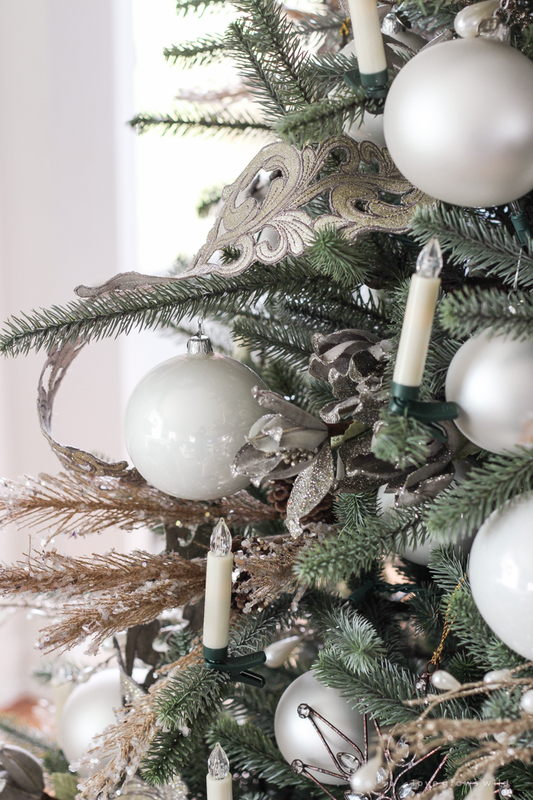 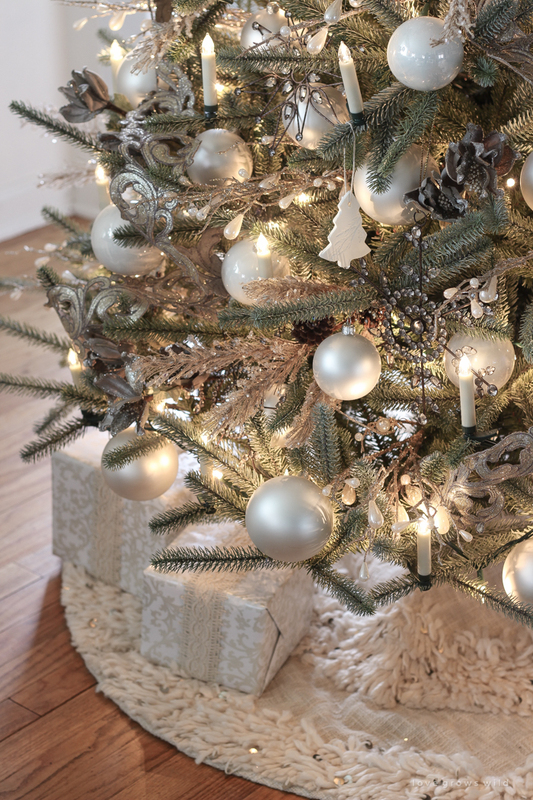 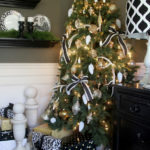 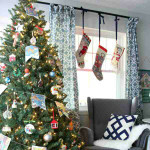 Accent the tree with charming Victorian Cutout Champaign Ribbons to add beautiful texture and movement. 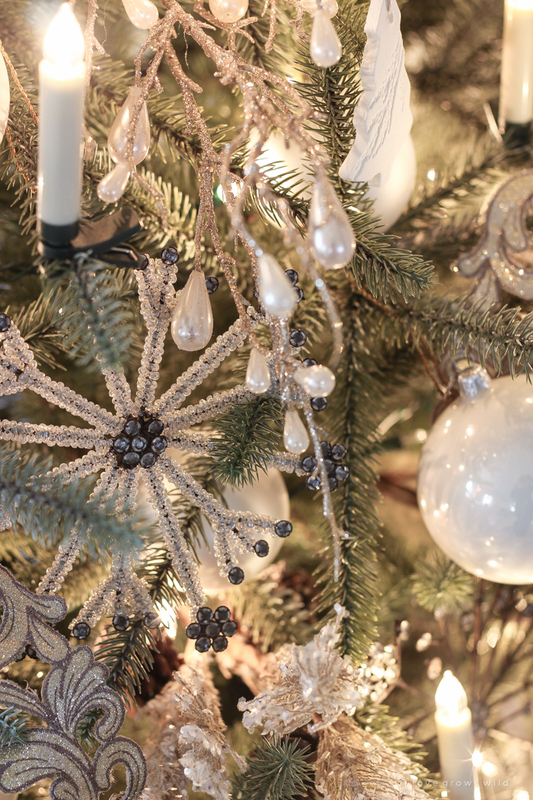 For a bit of light and sparkle, add white LED Candles and Pearl Picks. 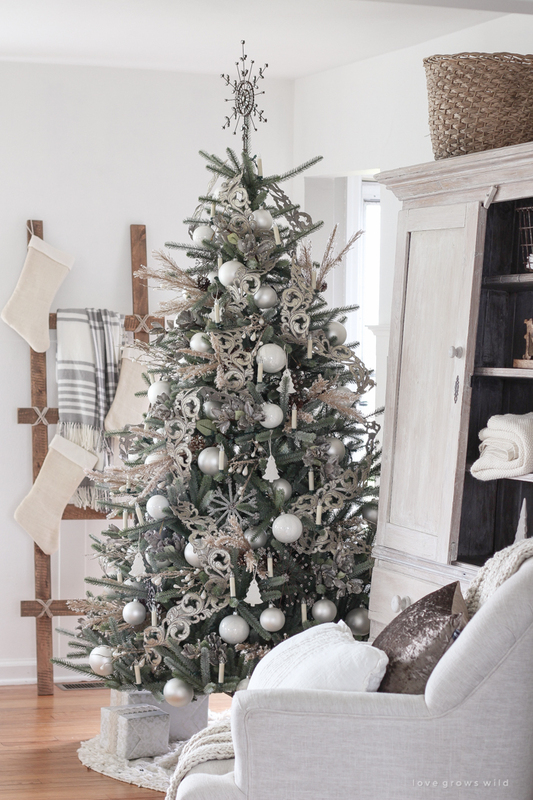 Complete the look with the gorgeous Juliette Fringed Tree Skirt and Snowflake Tree Topper for an overall rustic feel.